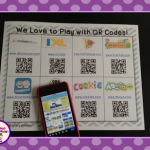 Little Learners LOVE QR Codes and you should too. 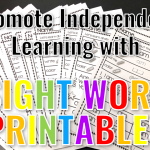 you can use to provide technology learning tools with your students. without YOU repeating yourself over and over again. 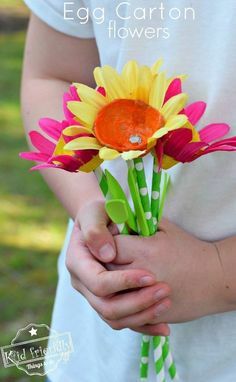 They can also be used for self checking work. 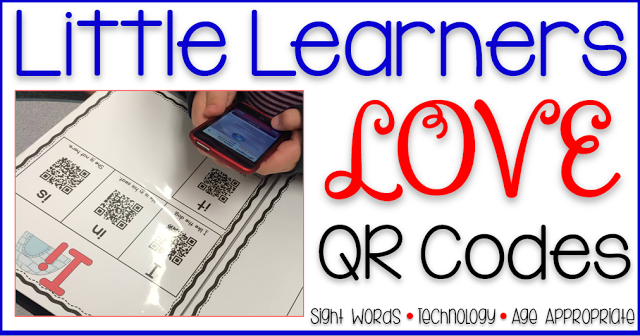 And I know that QR Codes can help your students to learn!Why do QR Codes work with little learners? At first, I believe it has more to do with the “mystery” of what they will scan at first. And they love to get their hands on any sort of iPad or iPod. They are engulfed with a passion and their eyes twinkle with joy. You helped get them excited about learning. And those simple QR Codes helped. 2. Why should I use them? 3. 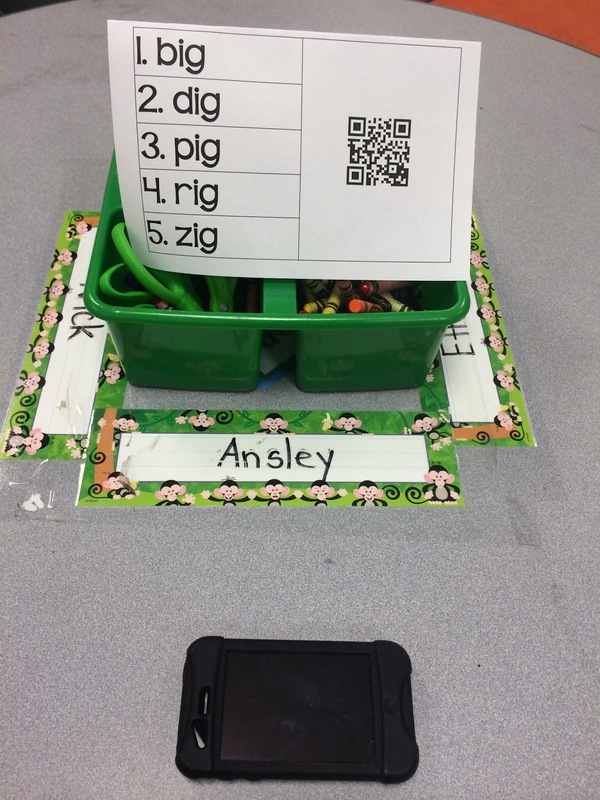 How do I start using QR Codes with little learners? 4. 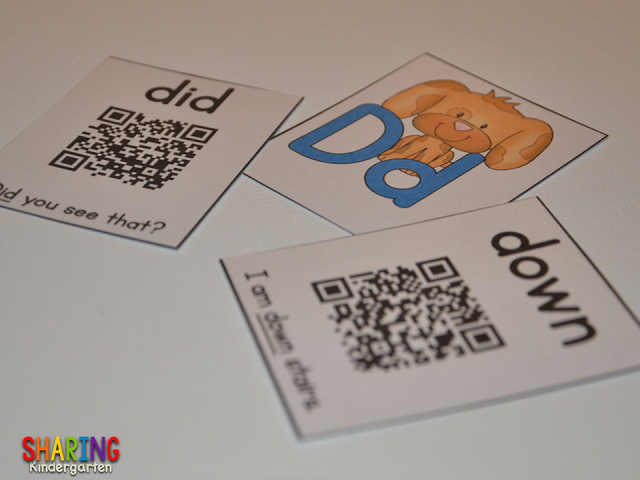 Can I see examples of ways to use QR Codes in the classroom?So… lets get busy! A QR Code a short way to say Quick Response Code. 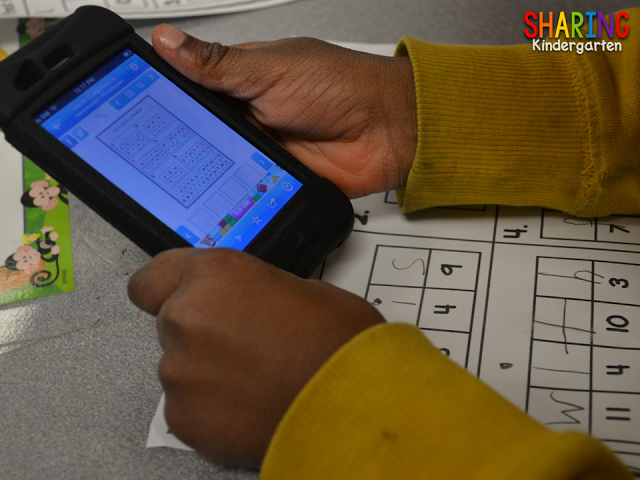 with a smart device to “read” it and tells you what it is. or almost everything else not listed. way to direct student learning to exactly were you want them to go. 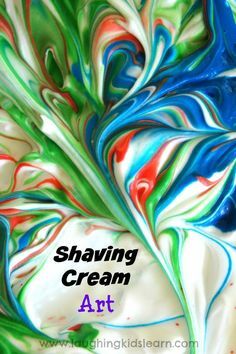 You will need smart devices with a camera function. You will also most likely need wifi. 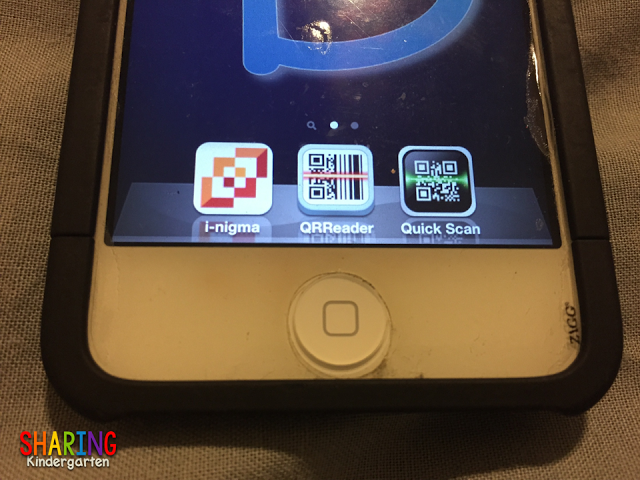 And you will need to download a few FREE QR Code Scanners to each device. I love the app i-nigma the most. 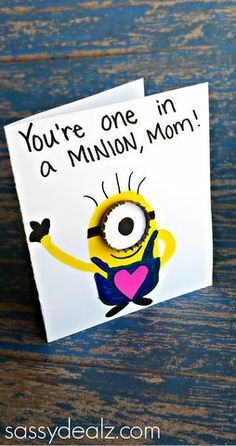 It is my favorite. 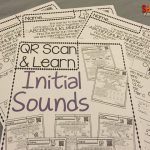 with three types of QR Scanners ready to be used. 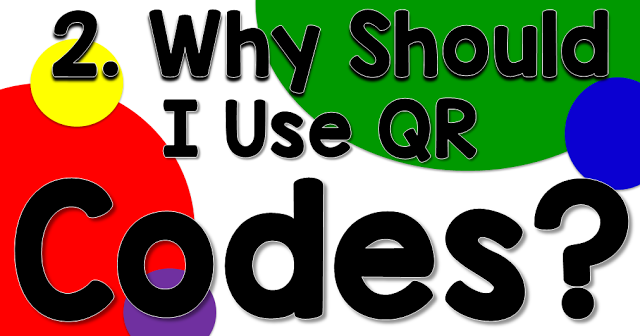 Why Should I use QR Codes? They direct students learning to exactly were you want them to go. Which is insanely smart and FUN. 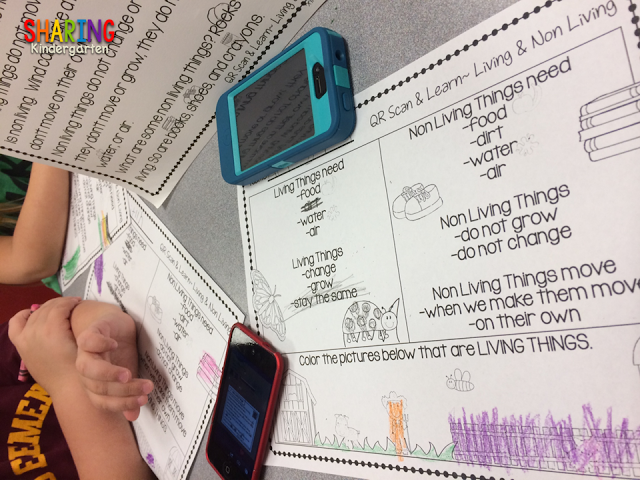 Using technology engages your learners. And it actually makes your job easier because you can use these codes to never repeat yourself. 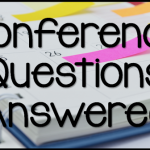 Should I even mention that technology is a HUGE component in requirements for daily teaching? Every lesson plan template I fill out has a spot for technology components. Each evaluation I use has a spot for technology. Your students NEED to be using technology on a regular basis. 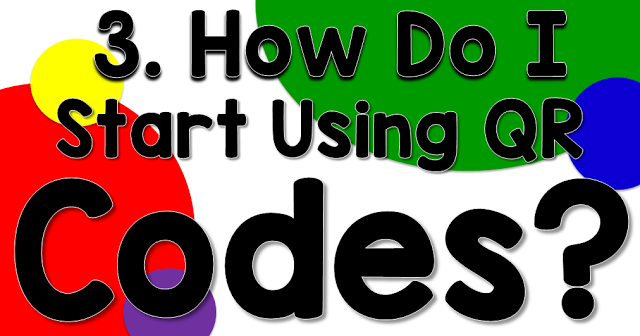 How Do I Start Using QR Codes? 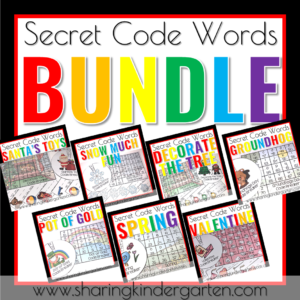 In my opinion, figuring out how to start using these codes with little ones is the KEY to success. 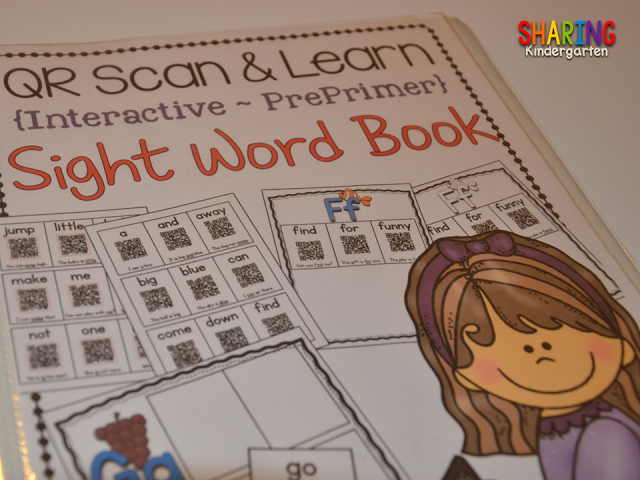 Your students do not need to know what type of code it is before you scan it. They all scan the same. I always suggest starting with TEXT codes. Using text one codes does not require wifi and the text codes pop up quickly. 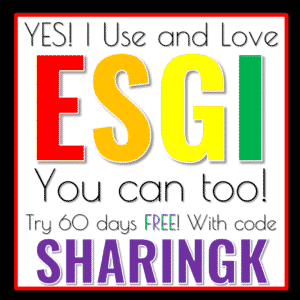 Using these codes first allows for easy success scanning. The negative aspect is that text codes are usually rather small. Think about typing letters, number, or so on that are on a computer screen. There isn’t a way to make them larger that I know of. they can easily pinch the screen and increase the size of the text. 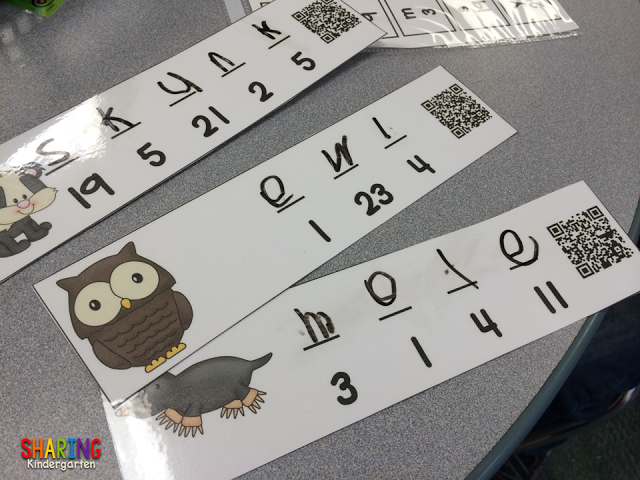 Once we scan TEXT Codes, we can easily move onto to image codes and audio codes. 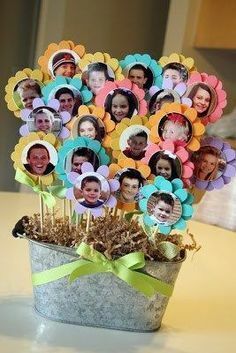 (Remember, once your students know how to scan, it doesn’t matter to them. 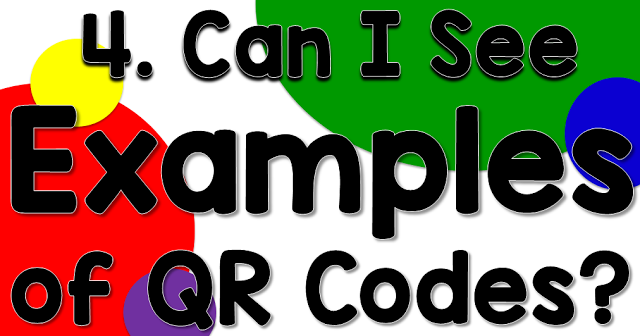 ALL QR codes scan the same, regardless of the type of code it is. )When a QR Codes leads to an audio file or image, it requires the use of wi-fi. or the internet isn’t working. Make sure you let your little ones know to be patient. I also have a rule… scan three before me. 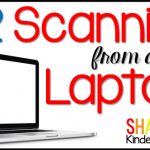 I download at least 3 scanners onto each device and let them get to work. If one QR Scanner doesn’t work, they can try others before they come to ask me. 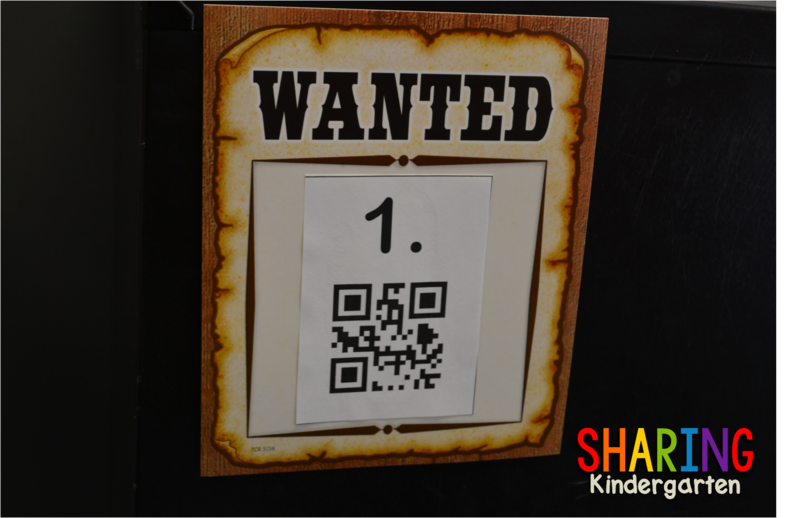 Can I see Examples of QR Codes? 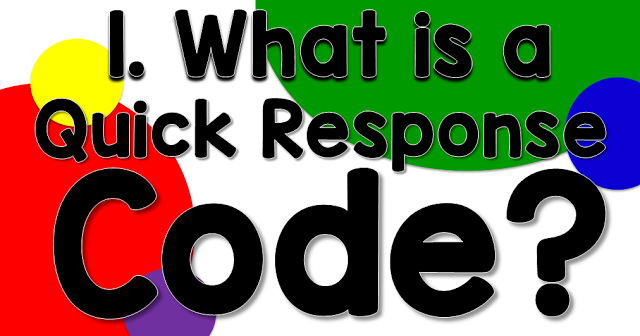 Let’s dive a little deeper into the world of Quick Response Codes! 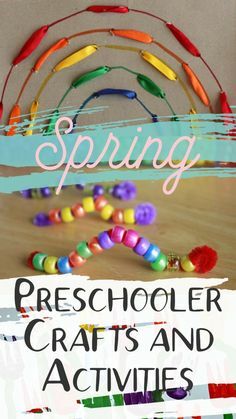 I can’t wait to show you some examples. Remember I start off with TEXT Codes. One of the tasks we do each Monday morning it to write our spelling words in our agendas. Since this is a typical task, I use QR Codes to make it more fun. 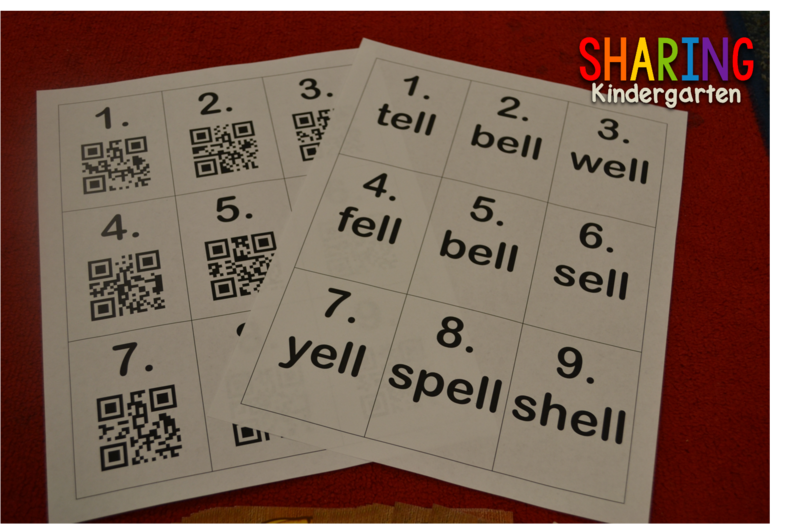 First, I make QR Codes for each word. 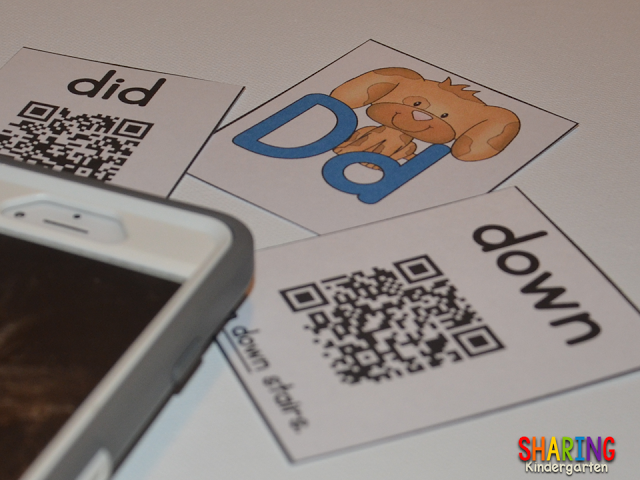 Then I glue the qr code on cards. I do make a back up regular version just because. Here is that this set looks like. 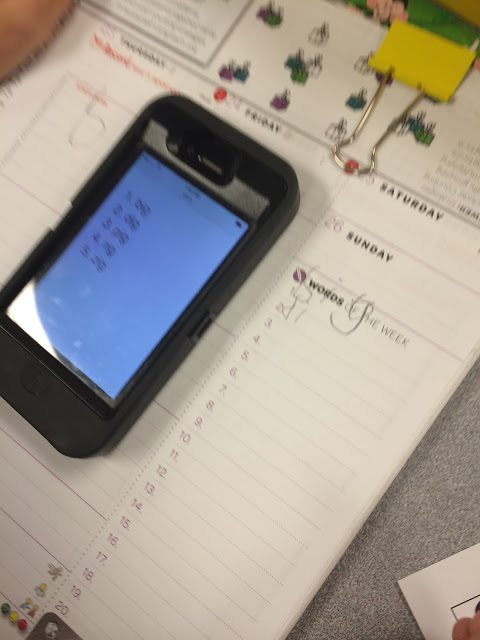 My students scan each code and write down the word in their agenda. 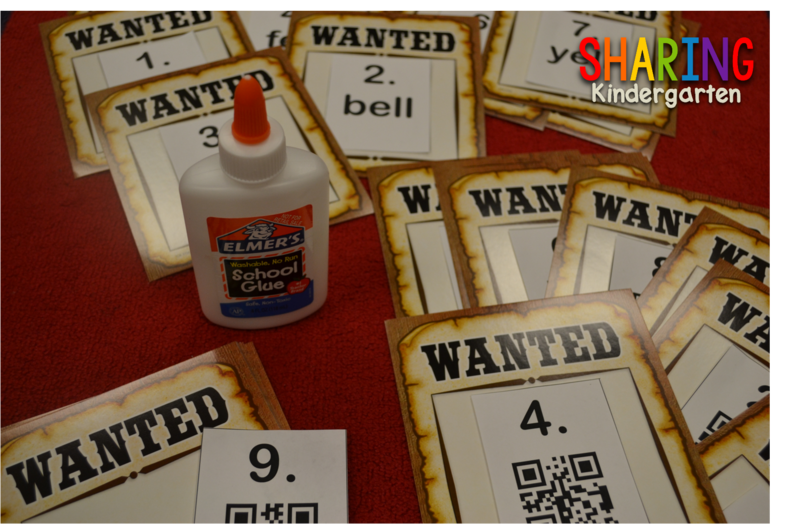 I also add QR Codes for ALL the words on one code at their tables this past year. I did this because my class last year struggled arriving to school on time. Most of them did not have time to search for codes around the room. This is just a faster way to get their words in the agenda. 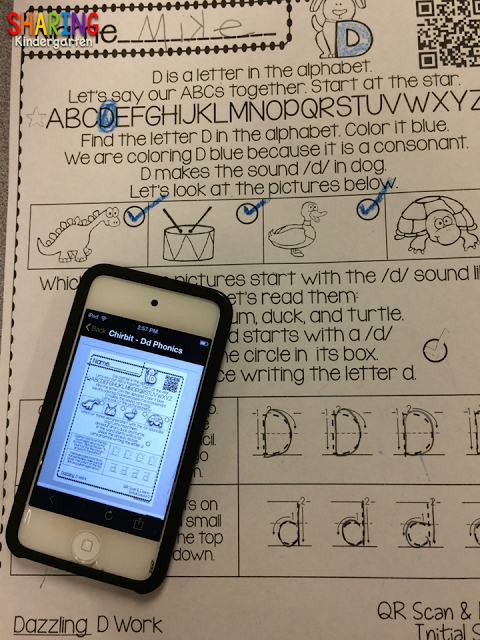 Here is a student who scanned a code and got the text up. They are now writing their spelling words down. Next, we move on to simple audio codes. using audio files is so much fun for them. 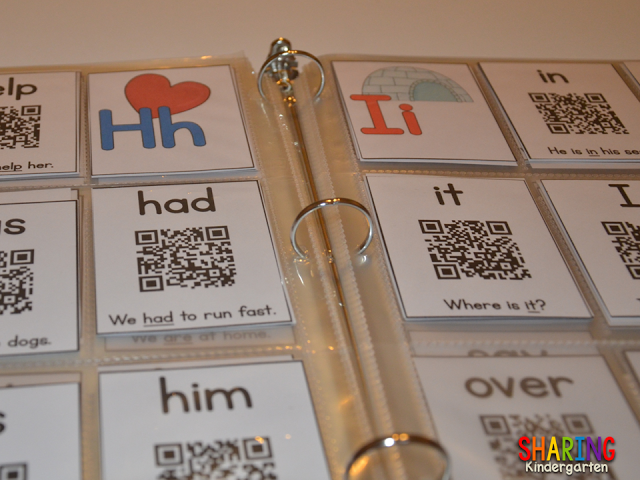 I love to use these quick Sight Word Codes to get my students reading and hearing sight words. These audio files are quick, lasting only a few seconds. 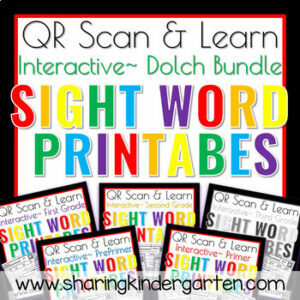 They are PERFECT for beginning scanners or those who need to know the sight word quickly. 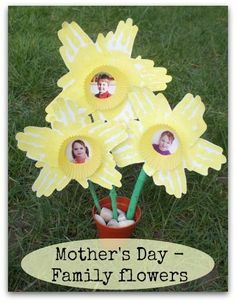 and use trading card pages to organize them in ABC order. or how easy it is to pull out the words we need quickly. 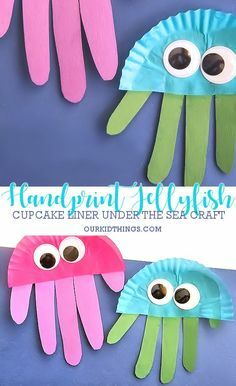 I pull them out and put them in an easy access place for my little learners to grab. 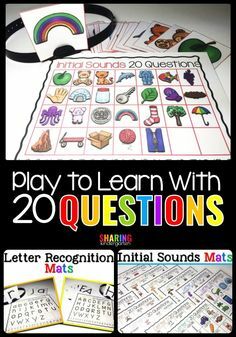 Next, we use these Initial Sound worksheets. 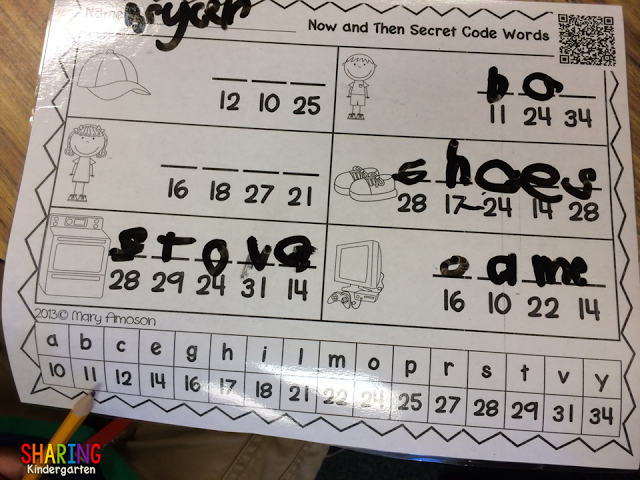 Once we scan the code, we can complete the entire sheet independently. And if they need to listen to it more than once, they can! We also work to learn new skill like with this fact gathering sheet about US Presidents. 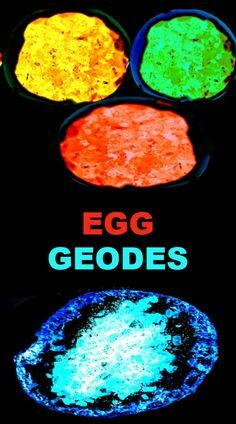 And this FUN activity for Living and Non Living things. 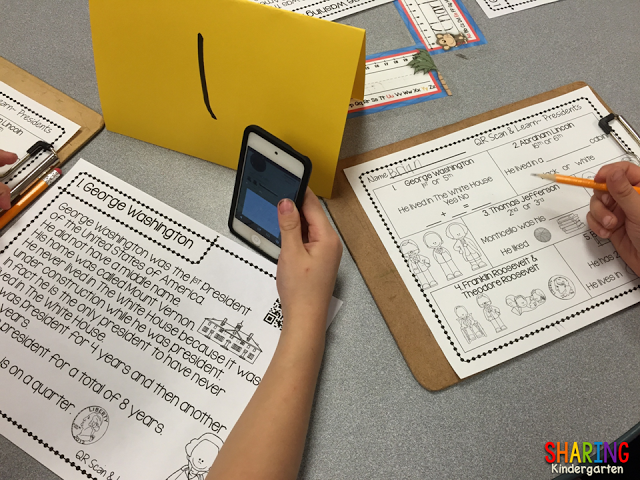 We can also use picture codes to self check our work. 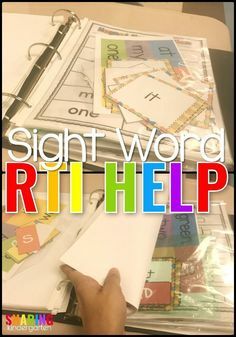 Here is one of the activities in my Sight Word Station packs. Here is another example of this. 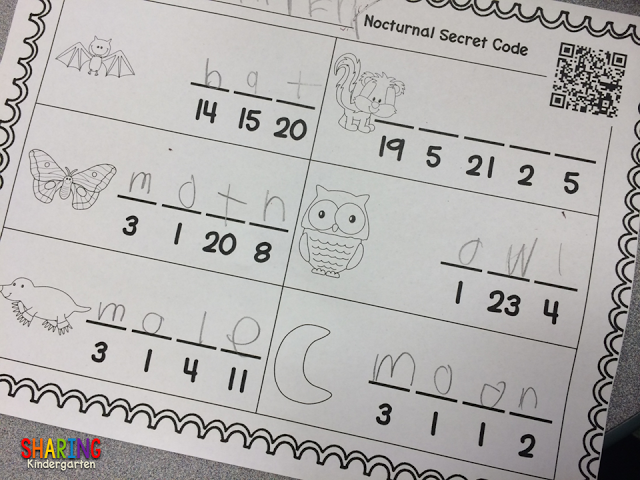 Check out this nocturnal animal secret code word activity. they scan the code to see if they got all their answers correct. We also use these single image QR Code self checking codes. Here is another example using Now and Then words. 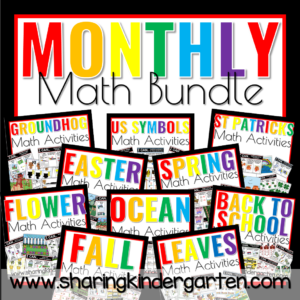 because your LITTLE LEARNERS will LOVE it.